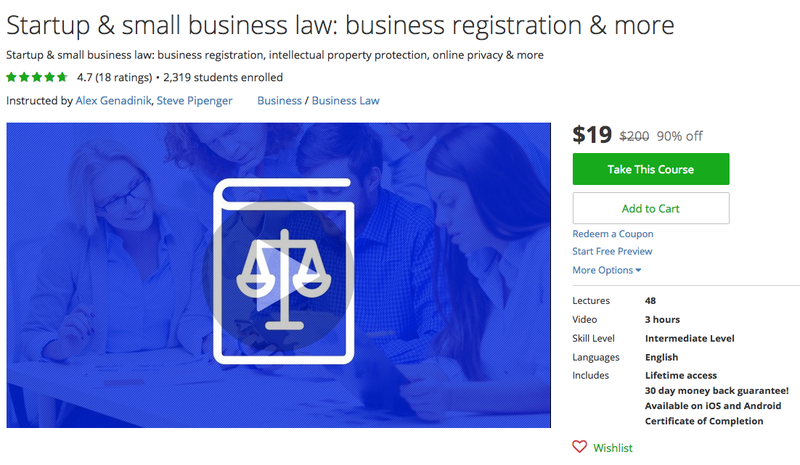 In this post, we’re going to focus on the legal side of business ownership, and point out 25 places to find low-cost legal advice, tools, platforms and resources for your online store that you can start using right away. We’ll even share some free tools, too. Hooray! Let’s start with some of the versatile platforms that have several different features and uses. Whether you need a tool to help you find the right lawyer, or you simply need to find and download the right legal document, these resources are make owning an online store just a little bit simpler. LegalShield grants online business owners access to legal counsel when they need it. With different service tiers, you can get legal consultations, phone calls, legal documents, and even trial services. RocketLawyer helps online business owners create legal documents and offers legal consultation on demand. With this tool, you can get your legal documents professionally reviewed, electronically signed, and ask questions to a certified lawyer whenever you need assistance. Nolo began as a company that produced print legal resources, but today, their online site offers free legal advice and tips as well as books and forms that you can purchase. You can also browse their extensive directory of attorneys, which is arranged geographically and via speciality. LegalZoom is a go-to resource for online store owners who want to ask legal questions, get advice, and have an attorney review contracts (without having to schedule an in-person meeting with a local contact.) 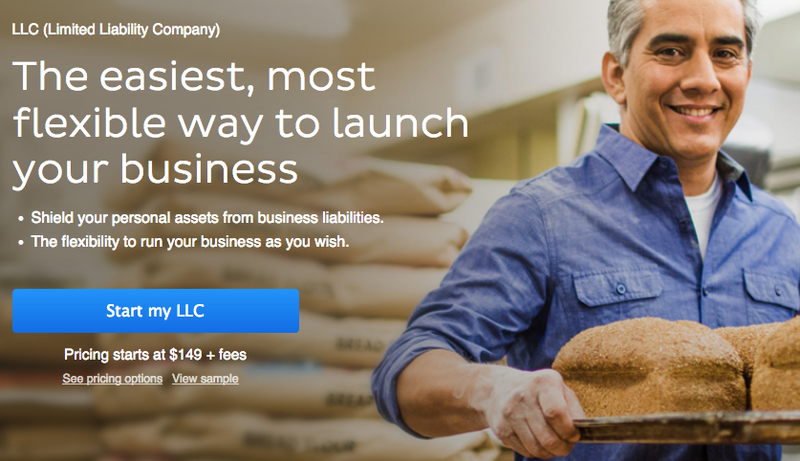 This site is also handy for filing legal paperwork (like forming an S Corp or LLC), although it’s a bit more costly than if you took a DIY approach — the convenience will cost you. LawDepot allows store owners to customize and print important legal documents, like the paperwork for an LLC or sole proprietorship. Cost: Documents are priced per document on the basic plan ranging from $7.50-$35 per document, and free trial is available. LegalMatch helps you find the right lawyer for your legal issue or within your area–kind of like a matchmaker, but for lawyers instead of for dates. There’s no fee to present your case, either. From contracts to intellectual property documents, FindLegalForms.com can help you download and purchase the legal forms you need for your business. These are attorney prepared, valid in your state, and have a 60-day money back guarantee, too. This UK-based company also sells prepared legal documents on a self-serve basis to make it easy for small business owners to take more of a DIY approach when it comes to at least preparation of legal documents. You can browse, download, and purchase a variety of legal documents here like website privacy policies and even stock transfer forms. The Small Business Administration (SBA) has many free resources that can help you better understand the laws and regulations around owning and operating an online business, as well as handling legal concerns. Check out the many different resources here to get up-to-date on laws–and know your rights as a small business owner. Online courses are another good way to get up-to-date on general legalities around your online business. There are many different affordable options out there, and we’ve found a few hyper-relevant courses that make the legal side of your business a bit more simple. This three-hour online course is great for intermediate level learners who want to get more familiar with the laws and regulations around owning and operating a small business. This beginner level course can help online store owners get a basic level of understanding about the legal issues around commercial websites, intellectual property, apps, as well as some general, practical legal advice. Bonus: It’s only about an hour long. MIT is known for offering free, open-source online courses to anyone who wishes to partake in them, and this course in business law is no exception. With this course, participants can expect to walk away with a well-rounded foundational understanding of the basic building blocks of business law. It can be tough to know where to begin sometimes, and forums and crowdsourcing can help you get pointed in the right direction. However, remember that these options, especially when it comes to legal advice, shouldn’t serve as a substitute for an actual lawyer. Use these resources as a jumping off point–not the final word. Quora is a forum where people ask questions and share answers, and the best answers are upvoted based on quality and relevance (like this one, for example). The issue here: You can’t verify where your advice is coming from and how reliable your source is. It’s a good starting place for chatting with fellow business owners, but it’s in no way a substitute for professional legal advice. On this no-frills forum, you’ll find small biz owners and entrepreneurs discussing a variety of topics — including legal issues (with more than 2,000 posts to date). Again, this is a starting place where you can troubleshoot with fellow online store owners and find out how they may have problem-solved issues you’re currently facing to get an idea on how to approach things in the right way. Avvo lets you find free legal advice, ask questions, find a lawyer, or even choose a legal service for a fixed price–which is nice if you’re working with a tight budget. This robust resource has a community of both small business owners and attorneys who are working together to solve common issues. Here you’ll find a variety of free articles with legal advice for your online business, as well as helpful features like Ask a Lawyer and Find a Lawyer that help you ask legal questions and find the counsel you need. Bonus: Customer reviews are listed here so that you can see what others have to say about each different attorney. Here, you can find a local attorney for any type of legal issue for free and browse their legal help center with helpful how-to’s and articles on basics and fundamentals of business law. It’s not the most robust site, but if you’re just looking to find a local lawyer or get basic legal information, it gets the job done. With LawGuru, you have the ability to ask legal questions and find answers for questions. You may find that a question you have has already been answered, and you can also browse articles and connect with the more than 8,800 attorneys who specialize in different legal areas. 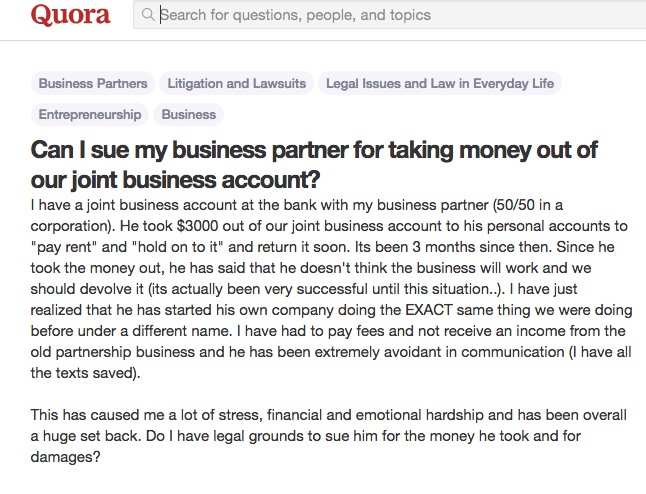 Again, the thing to remember here: Free legal advice isn’t always the best advice. Justia is another find a lawyer/ask a lawyer resource that lets you seek out different types of legal advice based on topic. You can research different laws and regulations, read up on legal news, and even find a pro-bono lawyer near you while you browse the forums here. Ask your existing network of connections of friends and family to see if there’s a local lawyer they can refer you to. Sometimes, working with a local attorney in a face-to-face context makes things easier, as you can ask all the questions you need to and really build a relationship with someone you can trust as you grow your business. It might cost more than an online option, but you get what you pay for–you’ll likely get a higher level of service, too. Lawyers sometimes take on pro-bono projects (meaning for the public good) where they offer their legal services for free to persons of limited means or to improve the law/legal system. However, keep in mind that it’s rare to find a business case that meets these qualifiers. You can locate lawyers offering pro-bono service through the U.S. Department of Justice. Your local SCORE chapter, which connects business owners with mentors, can be a great option for getting connected with someone who can help guide you through a tough time when you need advice. Join a chapter to get linked up with an experienced partner who’s been through some of the ups and downs of business ownership, and can share his or her insights. The good news for online store owners is that thanks to the internet, reliable legal advice and resources are only a few clicks away — and they’re more affordable than ever before. Final note: Keep in mind that any legal advice you receive online (as opposed to in person, from an attorney you’ve paid) should always be verified before acted on. The last thing you want is to get you and your business into a sticky situation because of faulty legal information you received online from an unreliable source. Be smart, remember that you get what you pay for, and use these resources as a place to get started, not as a handbook.